When the weather gets cold and the days get dark there’s nothing quite like something deliciously bad for you to make everything better. Let’s face it, you wearing sweaters and shape-hiding coats basically 24/7 is the perfect camouflage for a couple extra kilos this month. Think of all the holiday cookies. And mashed potatoes. And boozy hot drinks. Besides, who in their right minds starts a diet during the month of peppermint baked goods? Save your kale and your misery for January. 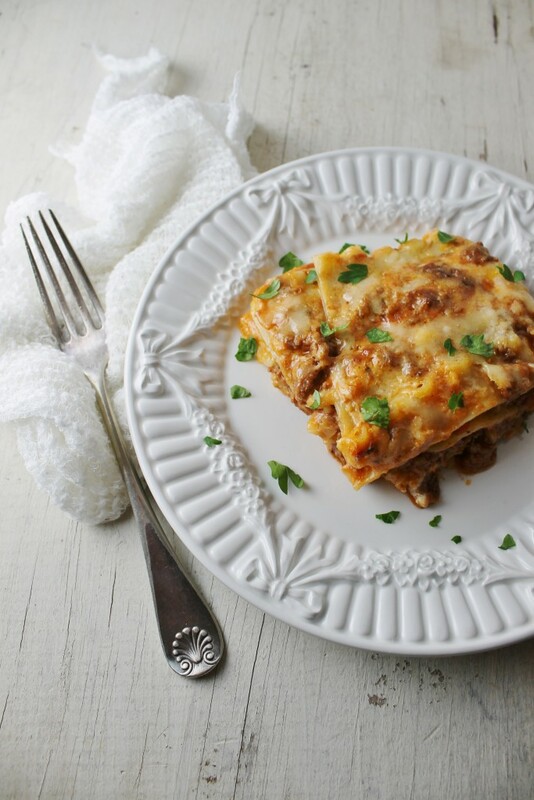 Lasagne is a long-time fav of mine, probably stemming from the fact that pasta is my favourite food group. 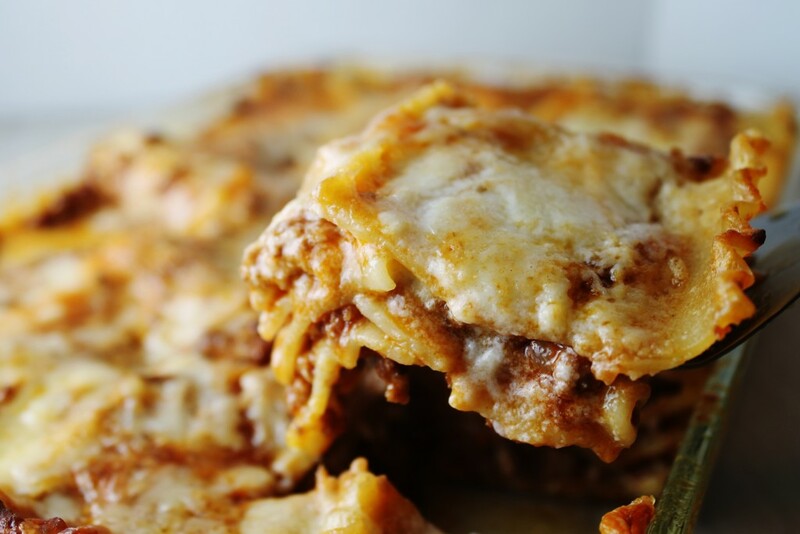 The creamy cheesiness of the béchamel paired with the comforting taste of the Bolognese is the best thing in this world, bar none. Including summer holiday or this video of Kris Jenner swimming in a pool to “Trap Queen”. Like all the best real food on this blog, this recipe comes courtesy of Mama Leavitt. As a testament to its glory, the entire pan was gone within one hour of me taking it out of the oven. There are five of us. Do with that what you will. Season with the salt and cook over medium-high heat thoroughly, stirring frequently. Add in tomato paste then cook for another 2-3 minutes. Pour in the crushed tomatoes and toss in your herbs. Stir well, then cook for about 45 minutes until the sauce has thickened. While that’s happening, boil a large pot of salted water and cook the lasagne until they’re just under al dente (about 5-6 minutes). And while the water is boiling and the sauce is simmering, begin making your béchamel sauce! In a medium pot over medium heat, melt the butter completely and whisk in the flour to make a roux. Add the nutmeg, then slowly mix in the milk a little at a time, stirring continuously to ensure there are no lumps. When the sauce thickens, add seasoning and remove from heat. Fold in the parmesan. Meanwhile, check your bolognese. When it’s done, take it off the heat and remove the bundle of herbs. Season to taste. 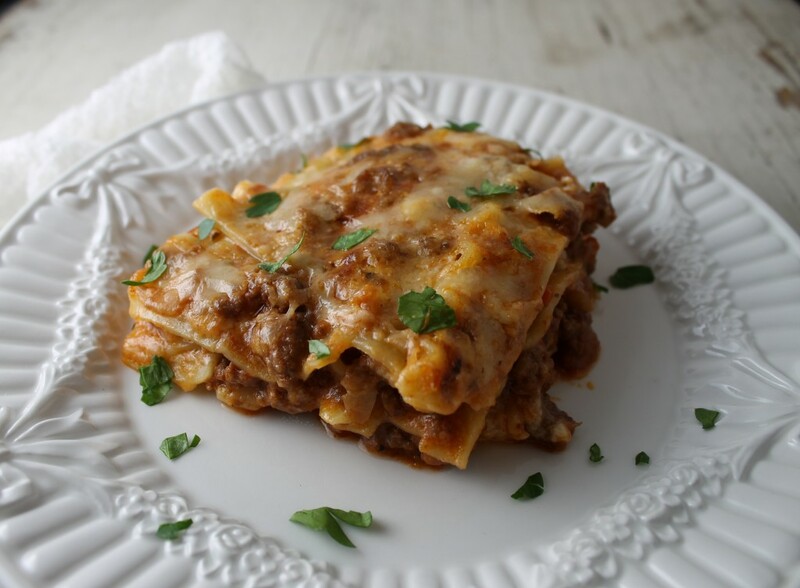 To assemble the lasagne: grab a 19″ x 13″ pan and layer a very thin layer of Bolognese (it doesn’t have to cover the pan!). Place the first layer of pasta on top, then some béchamel, then the meat sauce. Repeat until you’ve run out of pasta. The top layer should be a swirl of the meat/béchamel sauce. Sprinkle with the remaining 1/2 parmesan, then bake for 30-40 minutes or until the edges are brown and bubbly. Let cool slightly before serving and enjoy! This looks incredible! 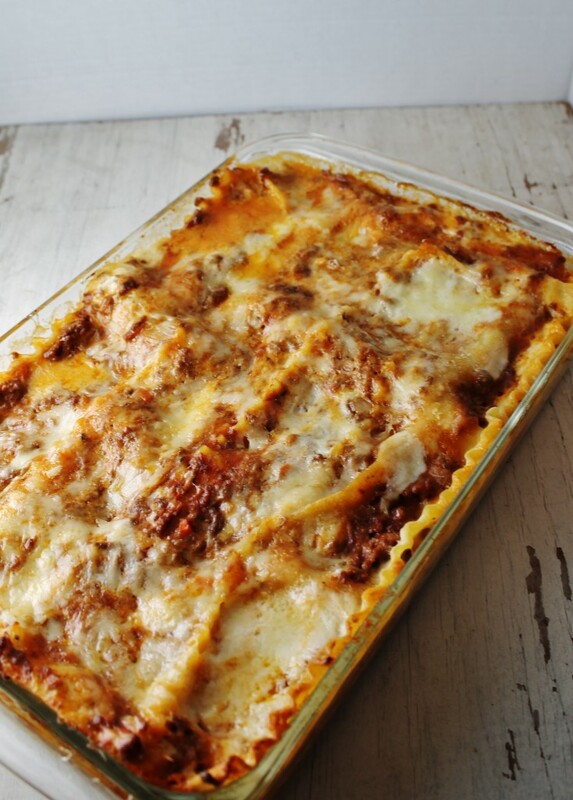 I love making lasagna! Definitely looking to try this post Christmas! Oh yeah, that looks good! 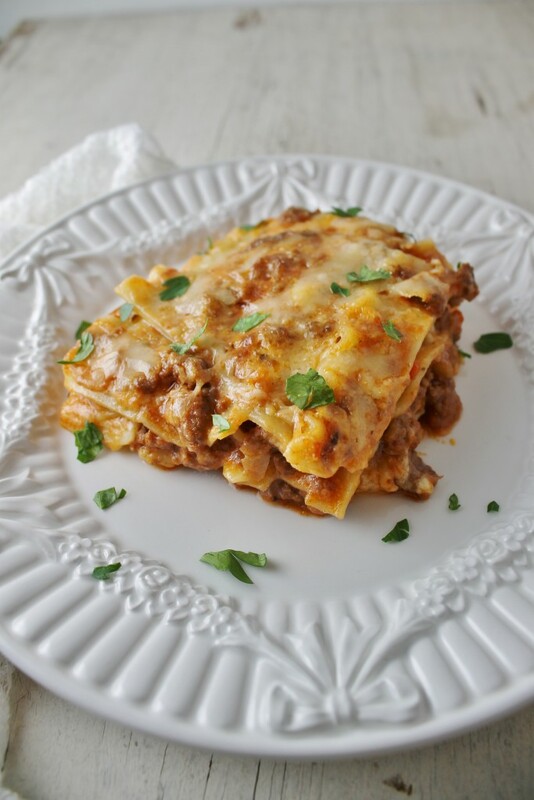 Lasagna is one of my favorite foods as I love Italian foods. Thanks for sharing!